A great way for kids to exercise, make new friends, develop positive “life skills” and have a ton of fun. Modern & safe facilities, certified instructors specially trained to teach children, extensive class selection and classes designed to have a positive physical, mental, emotional and social impact on children. Our unique program combines the power of your body and strength of your mind to increase energy, strength, stamina, physical health and self-confidence. It also kick-starts the fat burning process, tones your body, reduces stress, clears your mind and cleanses your spirit. Great Alternative to Traditional Gym Workouts! 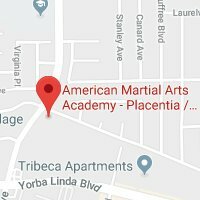 Our After-School Martial Arts Program offers parents a much more attractive alternative to daycare with Complimentary School Pick-up from most N. Orange County public/private schools. 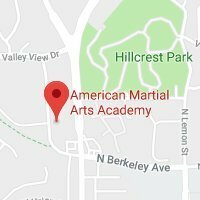 Featuring safe/structured Karate drills, Life Skills Curriculum, separate study area for homework and lots of time to make friends & have fun! Sign up for our Newsletter to receive AMAA News, Updates & Special Offers!